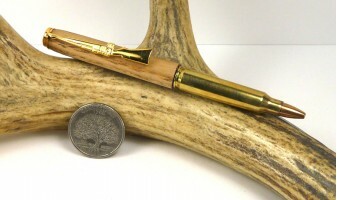 Made from an actual once fired .223 cartridge with a real solid copper bullet as the nib. 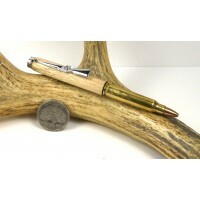 The .223 Remington (5.56×45mm) is a cartridge that is ballistically in between its predecessors, the .222 Remington, and the .222 Remington Magnum. The .223/5.56 was developed to fit the action length of the new M16 service rifle. 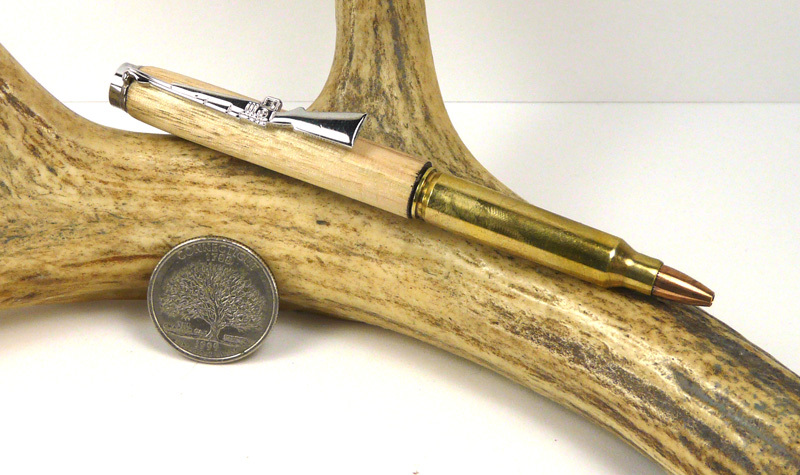 The .223/5.56 quickly became popular as a civilian cartridge because of the availability of brass, and the chambering of commercial varmint rifles in that caliber. Shortly after military acceptance of the M16, the semi-automatic version, the AR-15 became available, making the .223 cartridge even more popular.